In the Clerkenwell district of central London, there's a very up-market hotel called The Zetter. It's an odd and unique name for a hotel. There must be some history behind it. When I was 16, I needed a weekend job to make some pocket money. The typical job was in a shop, but my mother had another idea. While my brother was small, she had worked on Sundays, checking football pools coupons at what was then one of the biggest pools outfits in Britain, Zetters in London. This paid a lot better than working in a shop, so it was obvious for me to try it. Football pools are a uniquely British institution (though they have spread to some of the former dominions). The basic idea is very simple. Of the 55 or so matches played on a Saturday, the objective is to predict 8 which are draws, i.e. where the two teams have equal scores. The coupon is a grid, where each row is a game. In each column you put 8 crosses, and if those 8 matches happen to be draws, you win a big prize. There are secondary prizes if just 7 of them are draws. That's why it's called the Treble Chance - you get a first dividend for 8 draws, a second dividend for 7 draws and an away win, and a third dividend for 7 draws and a home win. You pay a fixed amount (a fraction of an old penny back then) for each line. If you want to cover a lot of possibilities, writing them all out individually would be an impossible task. You can write more than 8 crosses in one column, and you win if any 8 of them are draws. This rapidly increases the cost - 10 crosses will cost for 45 lines, while 12 will cost for 495 lines, and 14 gives 3003. (Mathematically, this is the function nCr, where n is the number of crosses and r is the number of matches - 8 in this case). This was called a "full perm" (although mathematically it is a combination, not a permutation). There were various subterfuges for trying to cover more matches at lower cost - more on this later. I duly applied for a job, and went up to London for a test. This was fairly simple, especially under my mother's tutelage. I passed, and started work the following Sunday, arriving at 9 am. It was a lonely and quiet journey - trains that were jam-packed with standing passengers during the week were deserted on Sunday morning. Only at Farringdon station, on the Circle Line, would you run into fellow checkers all hurrying in the same direction. Football results were announced late on Saturday afternoon (and what a ritual that was), so checking the entries took place on Sunday. Now computers can do it, but then only humans could, armies of them at each of the pools companies still in business: Littlewoods, Vernons, Zetters, and some smaller ones. 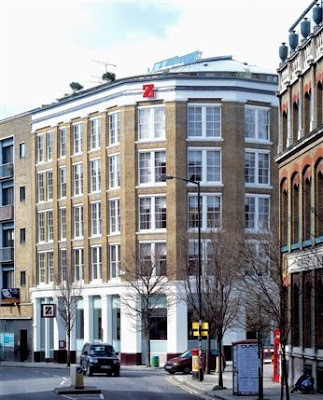 Zetters had a large five-storey building just off Clerkenwell Green. Most of the floors were one gigantic open-plan work area, with the checkers sitting close together at long, narrow tables, with just enough room to work. The building had a very characteristic smell, of stale sweat and old paint. Smoking was (luckily for me) not permitted, I suppose because of the fire risk. Coupons were brought around in bundles of 35, held together with wire and a lead seal. The only aid we had to speed things up was a piece of thin card, with the draws marked on them in red. Simple though it was, most losing coupons could be disposed of in a few seconds. Potential winners were a different matter. Any line that had 7 or more draws in it was a potential winner. If the entry was a simple one, it could be marked immediately as a winner, by putting a coloured sticker on the top of the coupon. Many cases required further checking later on, and in that case a different colour sticker was used. When a bundle was finished, after ten or fifteen minutes, it would have a little forest of coloured stickers on the top. Security was taken very seriously. It would have been very easy to introduce a winning coupon on Sunday, already knowing Saturday's results, and it would be impossible to search everyone entering the building. Each bundle of coupons was punched through with a unique pattern, during the week before the results were known. It would have been near-impossible to reproduce this, even with an example in hand. It was permitted, though discouraged, to visit the toilet during checking time - but the time spent was strictly monitored, so you couldn't go and hide for long enough to try and sneak a coupon into the system. It was very important not to miss a winner. Football pools work by taking the income for the week, taking off a (large) margin for costs and profit, and dividing the rest amongst the number of winners. A missed winner ate directly into the profit margin. Punters would get their winnings during the week. If someone didn't hear by the following weekend, they'd write in. Every Sunday there was a "walk of shame" where checkers who'd missed winners would be called up to the supervisor's desk in front of everyone. It was pretty much impossible not to miss the occasional small one, but there was a cash bonus system which meant it was certainly worth making an effort. If someone consistently missed winners, they'd be summarily fired and walked out of the building, but this was very rare. Missing a really big winner would be a different matter. The size of the payouts depended directly on the number of draws that week. Typically there were ten or twelve of them, which meant there would be lots of winners and the individual payouts would be quite small. A week with only seven or eight draws would generate the legendary "pools winner" payouts of tens or hundreds of thousands of pounds. That would make a big dent in the profits. Fortunately, the amount of work went up directly with the number of draws. If there were very few, checking was quickly done, so there was time for a second verification pass over all the non-winning coupons. Even then we would often finish early, getting to go home at 5 o'clock or earlier instead of the usual 6. If there were a lot of draws, the opposite was true. In that case, work would go on until 10, with voluntary and well-paid overtime. I was delighted when this happened. Occasionally they would even ask people to go in on Monday if they could - though I never could since I had to go to school. There was a a one-hour break for lunch. Some people went to the pub, but I always took a packed lunch that my mother had prepared - a sandwich, usually corned beef, and a bottle of that uniquely British concoction, Tizer. As a result I have never been able to eat corned beef since - the association with the Zetters experience is just too strong. That would leave time for a short walk around the neighbourhood, uninspiring at the best of times and completely dead on a Sunday afternoon. A new hire started as a "grade 4" checker. There were three further grades, which could be reached by taking a test, though not more often than every six months. I passed the grade 3 test, covering some slightly more complex bets. That meant slightly higher pay, but I left before I could move up to grade 2. As far as I could tell there was never any difference in the work for grade 3. There were very few grade 1 checkers, but when I was there one of them was a certain Alan Solomon, at the time a PhD student at one of the London colleges. Later he went on to found Dr Solomon's anti-virus product and make a lot of money. Mid-afternoon, the job changed. All the coupons that had earlier been declared possible winners now had to be checked to see if they really were. Mainly, this was about "plans". As I explained above, the simple way to cover multiple matches without laboriously writing out hundreds of lines is a simple "perm". In addition, all of the pools companies and popular newspapers published books of plans. The idea was that you would mark, say, 16 matches, and if any 8 of them were draws, you'd get at least a second dividend (7 draws correct). Or maybe if 9 of them were draws. There were all sorts of associated guarantees. They didn't actually give any greater probability of winning, but they gave the punters the impression of having a better chance. There were hundreds and hundreds of plans, but only a dozen or so were frequently used. Zetters had their own, and Littlewoods Plan 2 was very popular for some reason. Each source had its own thick book. To simplify the job, all possible winners using say Daily Express plans were put together into bundles and checked together. I've forgotten exactly how it was done. One thing that intrigued me at the time and still does, nearly 50 years later, is just how these plans were contrived. There is a whole mathematical discipline about it, called variously the "lottery problem" or the "football pool problem", but I'm pretty sure the people who did the job didn't have PhDs in group theory. It turns out there is still no algorithmic way to construct the best way to cover say 16 matches, nor even to know the minimum number of lines required. A few years back I wrote a program, using what I thought was a fairly sophisticated algorithm. The results were close to the published plans, but not as good as what was undoubtedly done by some old guy with a fag hanging out of his mouth, using no more than squared paper, a pencil and eraser. There is no literature on the subject, so it must remain a mystery. There were other pools besides the Treble Chance, though few people did them. But something was needed to fill up the back of the coupon, so there was the Twelve Results, the Eight Homes, and others I've forgotten. Each of these had its own special checking technique. A few entries, maybe one in a hundred, were beyond the ability of a normal grade 4 checker. There was yet another coloured ticket, buff pink and marked "FC", which meant "further checking" - i.e. "this is too hard for me". I almost never used them, preferring the challenge of figuring out something like a no-consecutive perm, but there were checkers who put them on any but the simplest of entries. Occasionally someone would get in trouble for it. But since there was a productivity bonus, for checking an above average number of coupons, it was worth trying it on. Zetters carried on the pools business long after my 18 month stint there. But the arrival of the National Lottery in the 90s was the beginning of the end. The prizes were a lot bigger and absolutely no skill was required. Zetters diversified into other gambling businesses and sold their pools activity in 2002. They didn't need a huge building full of checkers every Sunday any more. The building was purchased and converted to a luxury hotel. As you will surely have guessed, this explains the unusual name of the Zetter Hotel.